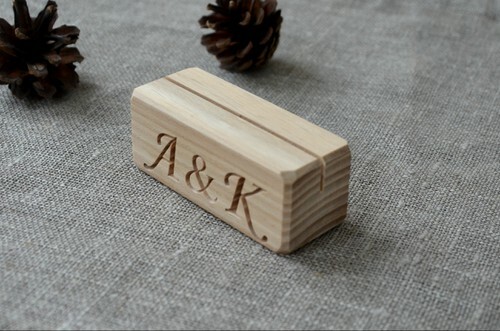 A set of 10 personalized wood place card holders for wedding table decor. These custom rustic place card holders are made of all natural ash with custom text engraved. You can use them all natural or paint or color them afterwards. 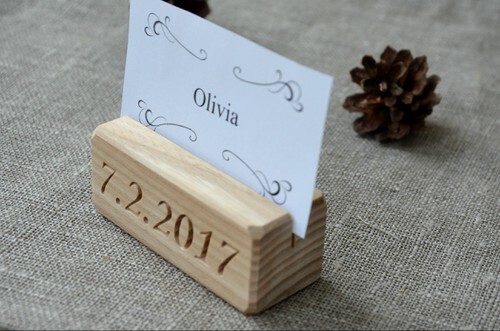 Perfect for DIY place card holders or wood table number holders, photo holders or menu holders at the cafe or restaurants or business card holders as well. 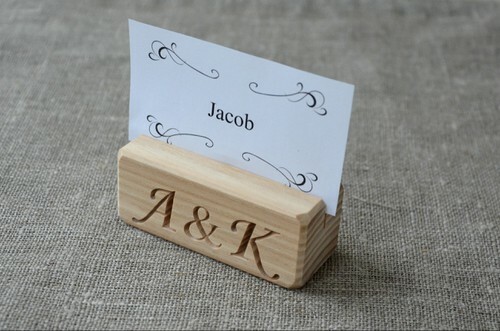 Looking for larger or smaller wood place card holders? Just let us know - we will make them the size you need. 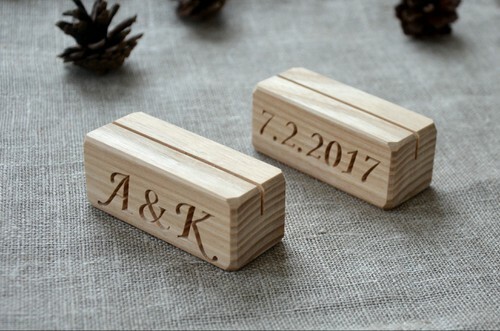 These wood place card holders will be a perfect decor on your wedding table. They will look beautiful both - used all natural with a decorative texture of pine or used colored or painted afterwards.